An Inspirational saint story each day helps us grow in our understanding of what the saints so bravely endured. It is humbling to read lively stories about the horrible persecutions the saints endured and how strong their faith was. There is also a section for Movable Feasts. His holiness Pope Leo Xlll expressed his great satisfaction in this book through a letter sent to the original publisher on his behalf. 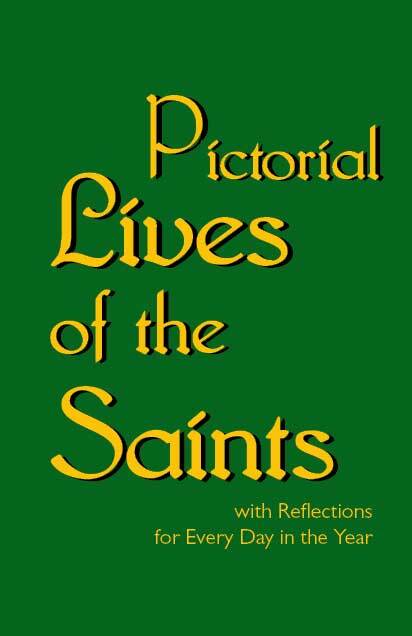 This is a great book for those that don’t have time to read the Butlers Lives of the saints, but want shorter similar stories. There are beautiful line drawings throughout the book.